Rosalind Elsie Franklin was an English physical chemist and X-ray crystallographer who contributed to the discovery of the molecular structure of deoxyribonucleic acid (DNA), a constituent of chromosomes that serves to encode genetic information. Beginning in 1951, she made careful X-ray diffraction photographs of DNA, leading her to suspect the helical form of the molecule, at least under the conditions she had used. When James Watson saw her photographs, he had confirmation of the double-helix form that he and Francis Crick then published. She never received the recognition she deserved for her independent work, but had died of cancer four years before the Nobel Prize was awarded to Crick and Watson. Rosalind Franklin: The Dark Lady of DNA, by Brenda Maddox. - book suggestion. Born 25 Jul 1884; died 15 Mar 1934 at age 49. Canadian physician and physical anthropologist who first postulated the existence of a distinct form of early man, popularly known as Peking man. In 1920 he had a position at a Peking, China, college which gave him opportunity to investigate nearby Chou K'ou-tien. In 1927 he found a single human molar which he took to be an indicator of a small-brained ancestor, dubbed Peking man. Subsequently, more teeth, skulls, bones, tools and campfire remains were found (1929-30). These are now classifieded as examples of Homo erectus. Russian-American philosopher of science who emigrated to America as a child with his parents in 1892. Born 25 Jul 1874; died 2 May 1934 at age 59. Born 25 Jul 1861; died 1952. Canadian-U.S. geologist born in Anstruther, Fife, Scotland, who for 38 years, was professor of mineralogy and petrography at the University of California where his courses in that relatively new study of geology brought great prestige to himself and to his department. Lawson made important discoveries of Precambrian rock structures (more than 570,000,000 years old) and published revolutionary interpretations of these strata (1881). He headed the commission appointed to investigate the disastrous California earthquake of 1906. The report was a landmark in its field; the study initiated the theory of the elastic rebound of shock waves. Lawson was the first historical paleoseismologist - the correlation of historical earthquakes to specific faults, specifically those with surface rupture - who in 1908 described surface rupture on the Hayward fault during an earthquake in 1868. Born 25 Jul 1857; died 25 Oct 1934 at age 77. Frank (Julian) Sprague was an American engineer, inventor, and a pioneer in electric railway transportation. He started his career at sea in the U.S. Navy (1878). Later, he worked at the Brooklyn Navy Yard making plans for incadescent electric lamps on navy vessels, which led to joining Edison at Menlo Park (1883) He formed the Sprague Electric Railway and Motor Company in 1884, and became known as "the father of electric railway traction." when he installed the first U.S. electric trolley system (Richmond, Va., 1887). Edison took over this company in 1892. Sprague earned many patents, many for railway applications and diverse ideas such as electric toasters, electric signs, electric elevators and naval weaponry. Born 25 Jul 1847; died 20 Jul 1888 at age 40. Baptized 25 Jul 1639; died 20 Nov 1713 at age 74. Born 25 Jul 1575; died 18 Jul 1650 at age 74. Died 25 Jul 1993 at age 87 (born 4 Jul 1906). American physicist and chemist whose research in meteorology and weather control introduced cloud seeding. He worked on the physics of precipitation at the General Electric (GE) Research Laboratory in Schenectady, New York. Having discovered a method of producing a snowstorm under laboratory conditions, he proved the same was possible outdoors. On 13 Nov 1946, he flew over Mount Greylock in Massachusetts, successfully seeding clouds with pellets of dry ice (solid carbon dioxide) to produce the first snowstorm initiated by man. Later, he became founder and director of Atmospheric Sciences Research Center at State University of New York in Albany. A Field Guide to the Atmosphere, by John A. Day, Vincent J. Schaefer, et al. - book suggestion. Died 25 Jul 1987 at age 85 (born 2 Oct 1901). American aeronautical engineer, educator, and science administrator who earned degrees from Stanford, Harvard, and MIT then, in 1939, became head of MIT's Instrumentation Laboratory, which was a centre for the design of navigational and guidance systems for ships, airplanes, and missiles from World War II through the Cold War. He developed gyroscope systems that stabilized and balanced gunsights and bombsights and which were later expanded to an inertial guidance system for launching long-range missiles at supersonic jet targets. He was "the father of inertial navigation." The Project Apollo contract for guiding man and spacecraft to the moon was also placed with the Instrumentation Lab. Died 25 Jul 1940 at age 66 (born 16 Oct 1873). Died 25 Jul 1933 at age 58 (born 10 Nov 1874). German physiological chemist who conducted studies on the chemistry of carbohydrate metabolism and muscle contraction and was the first to discover and link together all the steps involved in the conversion of glycogen to lactic acid (1933). In 1918 Otto Meyerhof threw considerable light on the process of cellular metabolism by showing that it involved the breakdown of glucose to lactic acid. Embden spent much time in working out the precise steps involved in such a breakdown, as did many other chemists and physiologists.The metabolic sequence from glycogen to lactic acid was later known as the Embden-Meyerhof pathway, had been worked out. In earlier work, he studied the metabolic processes of liver, laying a foundation for understanding diabetes. Died 25 Jul 1842 at age 76 (born 8 Jul 1766). (Baron) French military surgeon in the service of Napoleon. Larrey was the first to note the contagiousness of trachoma (1802) and published the first description of trench foot (1812). He introduced to the battlefield: field hospitals, ambulance service, first-aid practices and the triage system of treating patients. Larrey introduced properly sprung horse-drawn carts to evacuate casualties quickly into newly established mobile field hospitals. From that moment on, surgeons had a reasonable chance of operating on the worst wounds before it was too late. The success of Larrey's approach earned him the position as Chief Surgeon of the Guard in all Napoleon Bonaparte's major campaigns from 1805 onwards. In 1997, it was announced that for the first time human stem cells had been cultured in a laboratory, using tissue taken from aborted human embryos. Stem cells are the basic, unspecialized cells from which all other cells in the body develop during the growth of a baby in the womb. The announcement was made at an international symposium on the ethics of human cloning and stem cells. The team of researchers at the Johns Hopkins University, Baltimore, was led by Dr. John D. Gearhart, a professor of gynecology and obstetrics. He issued the "progress report" of his research before it had been published, he said, to spark discussion about establishing guidelines for the ethical use of such cells. In 1984, Soviet cosmonaut Svetlana Savitskaya, made her second trip into space, during which she became the first woman to walk in space. Savitskaya carried out over three hours of experiments outside the orbiting space station Salyut Seven. She was selected in 1980 to be a cosmonaut, as part of a female team selected to upstage pending female astronaut flights on NASA's space shuttle. Savitskaya became the second woman in space in 1982. It was seven months later that Sally Ride became the first American female astronaut in space. In 1983, a baboon, was the first nonhuman primate conceived in a lab dish, in San Antonio, Texas. The eggs with attached spermatozoa were transferred surgically into the oviduct of another baboon, who then gave birth to the offspring. The chief scientist for the research was Dr. Tom Kuehl. In 1978, in England, Louise Joy Brown, the first test tube baby was born in Oldham. She had been conceived through the technique of in-vitro fertilization. She weighed 5-lbs 12-ozs, and was delivered by Caesarean section at Oldham District General Hospital. By 25 Jul 1999, her 21st birthday, more than 300,000 babies have been born throughout the world using in vitro fertilisation (IVF), 29,000 of them in Britain. Brown is now a nursery nurse in Bristol. 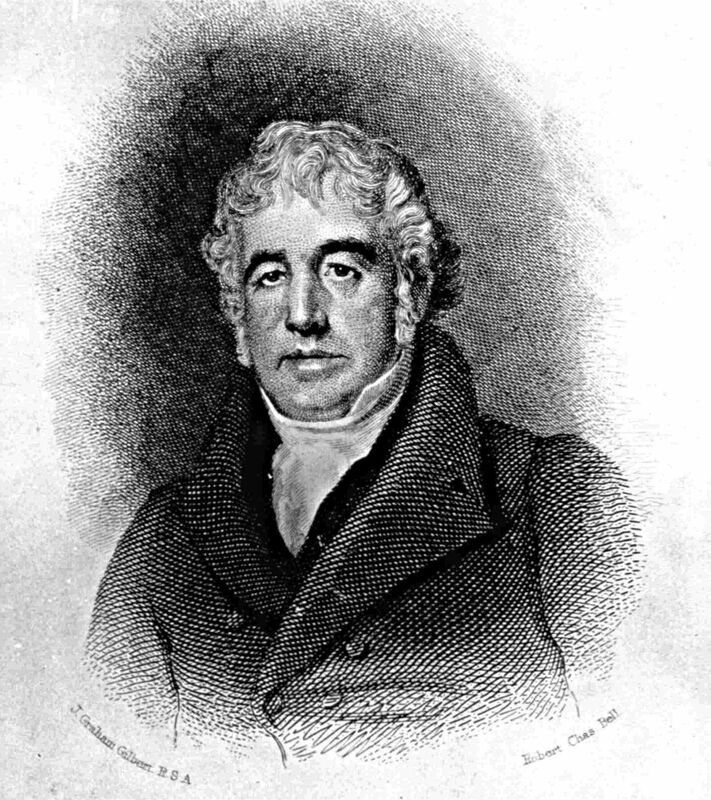 IVF began with Dr Robert Edwards, of Cambridge, who was keen to extend work on animals to treat women with blocked Fallopian tubes, which prevent eggs from travelling from the ovaries to the womb, where they can be fertilised, “It struck me what we should be trying to do was pluck the egg from the ovary and fertilise it in the laboratory,” he said. He collaborated with Patrick Steptoe, a gynaecologist in Oldham, who he met while lecturing at the Royal Society of Medicine. The Browns were already patients with Steptoe. The Scientific Exploration of Mars, by Fredric W. Taylor. - book suggestion. In 1965, the first U.S. surgical operation on a bull to correct a sperm block was performed. The $176,000 Aberdeen-Angus bull, named Linderis Evulse, was owned by the Black Watch Farms, Wappinger Falls, NY. During the operation the animal was strapped on a hydraulic operating table. The veterinarians were Dr. James Hicks and Dr. Donald F. Walker at the Auburn University School of Veterinary Medicine, Auburn, Alabama. The Aberdeen-Angus evolved during the early part of the 19th century from the hardy, black, polled cattle which populated North-East Scotland. George Grant first established the breed in the U.S. with four Angus bulls imported from Scotland to Kansas in 1873. 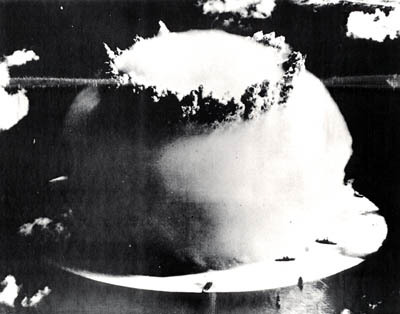 In 1963, the United States, the Soviet Union and Britain initialed a treaty in Moscow prohibiting the testing of nuclear weapons in the atmosphere, in space or underwater. In 1959, a hovercraft crossed the English Channel for the first time. Having been shipped to France by tender, the world’s first all metal hovercraft, SR.N1, crossed the Channel between Calais and Dover in 2 hours 3 minutes on 25th July with Captain Peter Lamb piloting, Mr John Chaplin as navigator and the inventor, Mr. (later Sir) Christopher Cockerell in his own words as “moveable ballast” on board. It was 50 years to the day that Louis Blériot made the first crossing of the Dover Strait by aeroplane. In 1871, the first U.S. patent for perforated wrapping paper was awarded to Seth Wheeler of Albany, NY (No. 117,355). The paper was wound into rolls and could easily be torn off at the perforations. It was claimed that the fibers left between the perforations were sufficient for holding the sheets together as wound on the roll. In this way, the cost of cutting, counting and bundling stacks of pre-cut sheets was to be saved, together with making storage more convenient, and saving the paper from drying and becoming brittle by exposure to the atmosphere. Paper was already manufactured in rolls; only the step of perforation was added in its production, either with a row of holes or short cuts. In 1871, the first U.S. patent for a carousel was issued to Willhelm Schneider of Davenport, Iowa (117,336). It was described as a two-story "'carrousel' or rotary pavillion used in public parks or other places of amusement." A staircase within the central supporting frame enabled access to the upper story. Radial partitions could provide separate "apartments" with a sofa, imitation horse or other seats. It could be turned by a person or other apparatus. However, it was not very practical or successful*. Carousels had been popular for a long time. The earliest* on record was at a fair held at Philippopolis, Turkey on 17 May 1620. The first* on record in England was at the St. Bartholomew Fair in 1729. In 1854, Walter Hunt of New York City was awarded the first U.S. patent for a paper shirt collar (No.11,376). Very thin white paper was pasted on both sides of a base of thin white cotton muslin. After being cut out or stamped out of this material, such collars could be pressed between heated forms to the shape of the neck. To guard against the effect of perspiration, the collars were then varnished with a colorless bleached shellac which also enabled cleaning by wiping with a damp cloth. It was expected the collar could be made at less than the cost of laundering a linen shirt collar. Walter Hunt (1796-1859) was a prolific inventor, best known for the safety pin and as developer of the first repeating rifle. Sir Charles Wheatstone, by Margaret Wilson and Brian Bowers (Ed.). - book suggestion.